When you go to the city during rush hours, you can clearly sense the smell of the burning fuels coming from the vehicles. This is really unwanted smell which sometimes makes it difficult to breathe. This is a kind of air pollution that citizen mostly face in their daily lives. Air pollution is actually the mixing of unwanted chemical, burnt fuels, gases and different particles with our atmosphere that may cause harm. The air pollution is really a big issue in these days. All the developed countries are finding ways to reduce the air pollution. There are many sources of air pollution. Some are natural, while other are man-made. But, these are actually the man-made sources of air pollution that are badly harming our beautiful Earth. 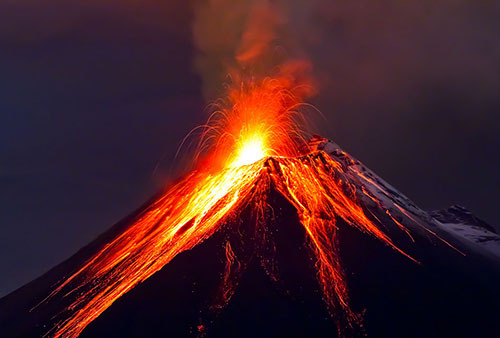 Natural sources: The natural sources of air pollution include storms, fires in the forests, the eruption of the volcanoes. Man-made sources: Since the dawn of fuel consuming machines. Humans have been burning fossil fuels to generate power. The consumption of fossil fuel has increased day by day which also pollutes the air more and more. Today we are highly relied on fossil fuel for generating the power for electricity, factories, and transportation etc. As a result, our air is being polluted very fast and affecting the health of all the living things. Air pollution has very adverse effects of our health. Since we breathe air for taking oxygen, but due to air pollution, the harmful chemicals also goes along with the oxygen. These harmful chemicals mix with our blood in the lungs. As a result, they cause our respiration system to get infected and sometimes cause lung cancer. According to the new research, 5.5 million deaths around the world are caused by air pollution. 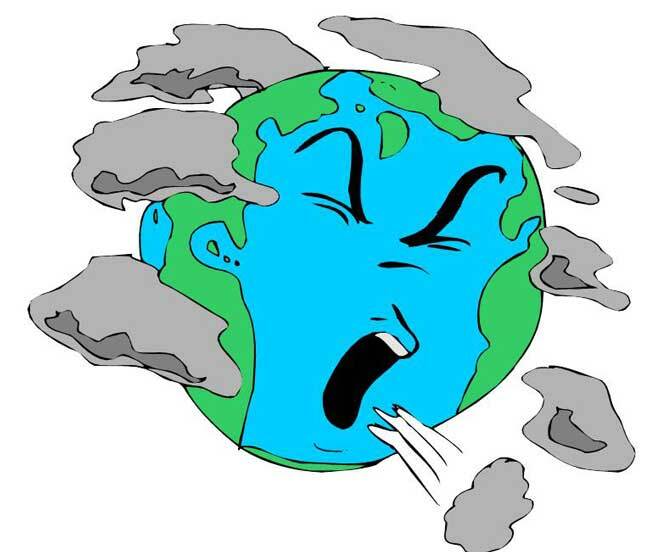 Depletion of Ozone Layer: Ozone layer is the layer of gas which protects us from the deadly radiations of the Sun. This layer is washed-out when the methane and CFCs gases reach the upper atmosphere. Acid Rain: When sulfur dioxide reaches high in the atmosphere, it gets mixed with moisture in clouds. As a result, the water in clouds become acidic. When it rains, the forests and fish life is harmed. Carbon dioxide: Carbon dioxide is the gas released when fossil fuels are burned. This gas increases the greenhouse effect and causes the global warming. Carbon Monoxide: It is also produced when fuel is burnt. This is odorless gas, but it very dangerous. We can die if we breathe carbon monoxide too much. Every time you are using electricity and gasoline, you must understand that they are coming from fossil fuels. So avoiding wastage of electricity and gasoline helps reduce the pollutions. Try to go on your feet or public transport to your schools or offices. This helps in reducing the fossil fuel consumption. Try growing plants around your home and street. They absorb carbon dioxide and gives us oxygen. If you can afford, try to make your home electricity using renewable energy sources like solar energy and wind energy. This way you will be producing electricity for your home without contributing to air pollution. Renewable energy sources can be used instead of fossil fuels to reduce the air pollution. Sometimes air pollution may cause eye burns. Abdul Wahab, "Air Pollution," in Science4Fun, April 13, 2019, http://science4fun.info/air-pollution/.